Maxie Heating & Cooling is proud to serve the Mantua community! About Mantua, NJ - Happy to be your hometown Heating & Air Conditioning Contractor! Mantua is a small township in New Jersey. Home to over 14,000 residents, it is an area of charm and historical value as it has been a township since 1853. 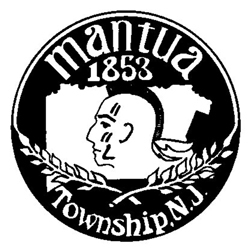 The Mantua Township School District provides education services for the area. The Ceres Park Nature Preserve is the perfect place for naturists as well as kids to have fun while learning about nature and wildlife. Gino's Golf and Paintball Center offers mini-golf, a driving range, batting cages and weekly paintball. Chestnut Branch Park offers tennis, basketball, playgrounds, walking trails and picnic areas. The area is a perfect getaway from the heat during many months of the year. The winters get cold and the summers get warm to hot but autumn is a beautiful time of year in Mantua.